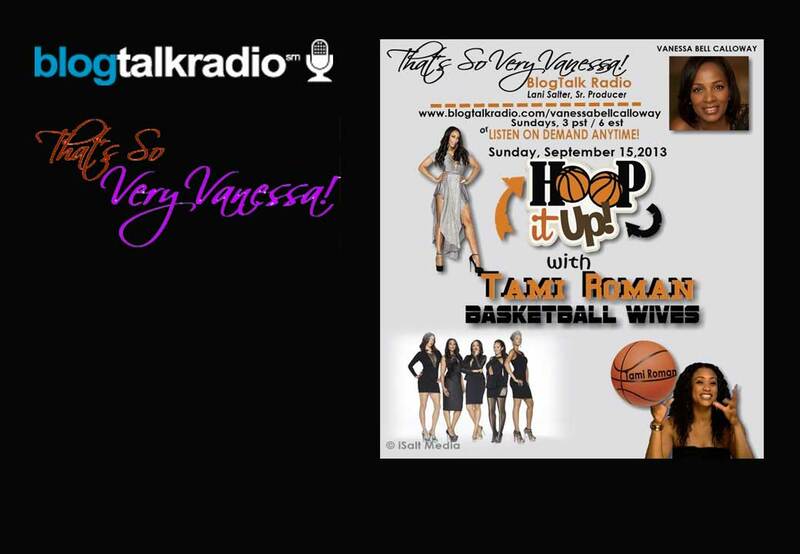 Basketball Wives outspoken Tami Roman hoops it up with me this week on That’s So Very Vanessa! BlogTalk Radio. Watch out! This is a NEW and GROWING Tami Roman. I’m excited about my new, cool Sistah-Friend! Tune in to That’s So Very Vanessa! BlogTalk Radio this Sunday, September 15, 2013 at 3:00 pm PST/6:00 pm EST.